Every year it seems there’s more and more to do and see in Branson, Missouri. This quick list of the 2015 Branson event schedule just scratches the surface of what’s going on in town this year. You’re sure to find something on this list that will get you itching to get to Branson, and when you do, we’re here to help you do just that! Silver Dollar City is always a hot bed of activity and 2015 is no exception. The parks many annual festivals offer something for everybody. June 6th kicks off SDC’s Star Spangled Summer which will feature appreances from the world famous Harlem Globetrotters, Meet and Greets with your children’s favorite cartoon characters, world championship cloggers and more. In August, the park starts it’s Southern Gospel Picnic Festival, bringing in the most talented artists from the genre to perform throught this month long celebration. Another of the theme parks Branson 2015 events is the National Harvest & Cowboy Festival, showcasing craftsmen from around the globe displaying their talents in various traditional, hand forged, crafts. Silver Dollar City wraps up the year with ‘An Old Time Christmas’ festival in which the park transforms into the worlds most illuminated theme park, decororated with literally millions of Christmas lights and featuring a daily parade down main street that is sure to be a hit with the young and young at heart. August 5th kicks off a week of what has become one of the nations top car shows. The Super Summer Cruise brings in entrants from around the world with some of the most gorgeous vintage automobiles you will ever see. If two wheels is more your style, the Branson Motorcycle Rally, held from June 18th – 20th gathers bikers from across the nation in a safe, friendly, environment to check out the latest gear from vendors and enjoy stunt shows and live music and of course, go riding! 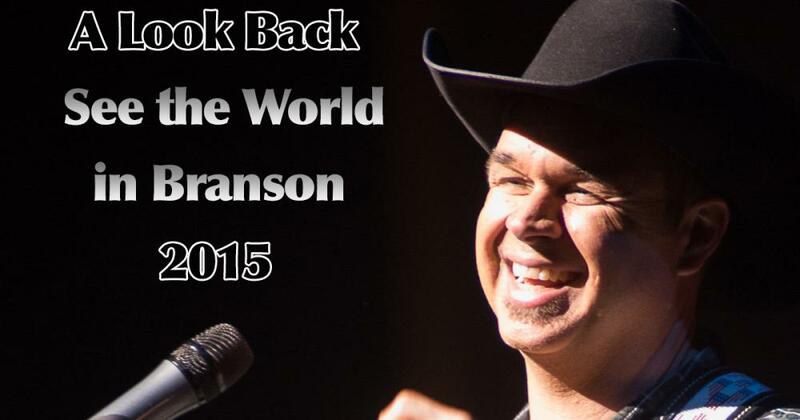 No list of Branson 2015 events would be complete without mentioning this great concert. August 8th, The Branson Landing plays host to the 4th annual Rock The Spectrum concert for autism awareness. This wonderful event raises money for those families and their children who deal with autism. Rock The Spectrum has become a highlight on the calendar, bringing in great entertainment by local and national artists alike and all for a worthy cause. Each year the lineup & activities for the kids are different and 100% of the proceeds go to help families of children with autism. Every season is a new reason to celebrate in Branson. That’s why you’ll find many exciting Branson 2015 events year round, many of them long time traditions. 4th of July is always a big time of year with Chateau on the Lake, Big Cedar Lodge, The City of Hollister, and many others holding annual fireworks displays, often accompanied by picnics and live music. The Chateau on Big Cedar also hold Labor Day celebrations each year with even more food, fun, and fireworks! And of course, Branson is known the world over for it’s annual Christmas celebration. From Shepherd of the Hills’ Trail Of Lights to Branson’s annual Adoration Parade to the aforementioned Old Time Christmas at Silver Dollar City, Branson truly becomes the city of lights at Christmas time. And when It’s time to ring in the New Year, you’ll once again see fireworks from Big Cedar Lodge and Chateau On The Lake, not to mention special late night performances from shows such as The Haygoods, Liverpool Legends, Doug Gabriel, and more. Anytime is a good time to celebrate in Branson! If you would like more detailed information on any of these events, contact one of our Branson Travel Agent members. See you in Branson this year for a great year of events!